Frequently Asked Questions - Roe & Associates, Inc. If I buy a home in the Wind Pool, will I be able purchase wind insurance? What is Wind Mitigation & Why should I care? Whether an insurance company is classified as "admitted" varies by state. To qualify as an admitted provider in a particular state, an insurance company must file an application with that state's insurance commissioner and be approved. Approval as an admitted company requires compliance with state insurance requirements, including the filing and approval of rates. A non-admitted carrier is simply an insurance provider operating in a state without going through the submission and approval process required for admitted companies. One of the main benefits of an admitted insurance company from a policyholder's standpoint is that the provider's liabilities are backed by the finances of the admitting state. If an admitted insurance company goes bankrupt, the state will use money from a special fund to help pay off policyholders. For example, in South Carolina , admitted providers are part of the South Carolina Insurance Guaranty Association, which pays claims up to $300,000 if the carrier becomes insolvent. Another advantage of admitted companies is that their rates are usually more reasonable, as these must be approved by the state insurance commissioner. Non-admitted companies can often provide insurance coverage that admitted carriers can't, because of their unrestricted rate structure. Admitted companies often can't charge high enough premiums to safely insure high-risk events, but non-admitted providers have no such restriction. As a result, non-admitted companies are usually the only ones available to offer specialty insurance such as professional liability insurance or earthquake coverage. In 1972, The South Carolina Wind and Hail Underwriting Association (SCWHUA) was established to ensure that residents living on the beach areas of South Carolina would have a means of purchasing wind/hail insurance on their beach homes. Most standard insurance companies had quit providing such coverage. Why was the Wind Pool expanded in 2007? Since the mid-90s, the insurance industry has become increasingly reluctant to provide wind insurance in the coastal counties of South Carolina due to the hurricane threat. The situation became so bad in 2004-2006 that some residents could not obtain wind insurance and those who could found themselves paying very high premiums. The SC Department of Insurance was being pressured to take some action and the expansion of the Wind Pool was the result. Where is the Wind Pool area? You can log onto www.scwind.com and click on the Check Eligibility heading. Simply type in the address of your home. You will be told if the home is in Zone 1 or Zone 2 or not in the wind pool area. Zone 1 is the original Wind Pool area and Zone 2 is the expanded Wind Pool area. To see a map of the Wind Pool, click on Territory Expansion and select from the county maps listed. The orange area is Zone 1 and the yellow area, Zone 2. North of Charleston, the boundary is generally Hwy 17N. A written description of the Wind Pool boundaries can be found in the same Territory Expansion section under “Territory Expansion order signed by Director Richardson, May 23, 2007”, starting on page 2 under “Conclusion”. Can condominiums be insured through the wind pool? Yes, the Wind Pool insures individual condominium units for the unit owner and also insures the condominium building for the Condominium Regime. Is there a waiting period before a Wind Pool policy takes effect? Yes, there is a 16 day waiting period starting when SCHWUA receives the application, photo, and payment of premium. Independent agents have the ability to transmit this information electronically. The waiting period may be waived when there is a property closing that involves a mortgage company, bank, or savings and loan. The loan must be for a term of at least 10 years. I am building a home in the Wind Pool area. Can I get a Wind Pool policy while the home is under construction? Are the Wind Pool premiums higher than those charged by regular insurance companies? Yes, the premiums are usually higher. SCWHUA charges higher premiums because SCWHUA is considered the market of last resort, the place you go to get wind coverage when you cannot obtain it through other markets. What coverages are available on a Wind Pool policy? 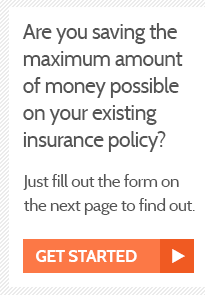 Is there a maximum limit of insurance available? The maximum limits for ALL coverages (building, contents, loss of use, and ICC) for a residential property is $1,300,000. For all other properties (commercial), the limit is $2,500,000. What deductibles are offered by the Wind Pool? SCWHUA offers deductibles of 2%, 3%, 4%, 5% and 10%. The deductible is a percent of the amount of insurance on the dwelling and a percent of the amount of insurance on the contents. The deductibles apply separately to building and contents. For example, a house insured for $200,000 with $50,000 contents with a 3% deductible would have a dwelling deductible of $6,000 plus a contents deductible of $1,500. Is replacement cost coverage available? Dwelling replacement cost coverage is available only if the dwelling is your primary residence and was built after 1950, and you have flood insurance policy covering the dwelling. Replacement cost coverage for contents is not available. Does this Wind Pool policy provide hurricane insurance? Well, there is no such thing as “hurricane insurance”. The wind damage done by a hurricane is covered by a Wind Pool policy. Any damage done by the flooding associated with a hurricane, like the hurricane surge, is NOT covered by the Wind Pool policy. You must purchase a separate flood insurance policy offered by the National Flood Insurance program and available through independent insurance agencies. And yes, Roe & Associates, does sell flood insurance. Does the Wind Pool automatically renew policies? MYTH #1: GENERAL LIABILITY COVERS FINANCIAL LOSSES DUE TO PROFESSIONAL MISTAKES. MYTH #2: ADDING SUB-CONTRACTORS TO A GENERAL LIABILITY POLICY COVERS THEM TOO. FACT: You can add as many sub-contractors as you want to a general policy – but you’ll run into the same problem as Myth #1. A general liability policy will not cover a sub-contractor’s professional services. Make sure each sub-contractor has their own insurance because your clients are liable for any work performed by them. MYTH #3: GENERAL LIABILITY COVERS WORKERS ANYWHERE. FACT: General liability policies are not designed to cover intangible data or published private information exposed by a data breach. In a recent coverage disrupted between Sony Corporation and Zurich Insurance Company, a New York trial court ruled that Zurich American Insurance Co. has no duty to defend Sony Corp. of America under the General Liability (GL) policy for a matter involving a data breach of the Sony Playstation Network. The court ruled acts by third-party hackers do not constitute “oral or written publication in any manner of the material that violates a person’s right of privacy” in the Coverage B (personal and advertising injury coverage) under the policy. Wind Mitigation is the addition of tested and approved materials to a dwelling to withstand the sheer forces of strong wind and rain. In 2006, many wind mitigation measures were entered into the building codes to reduce widespread catastrophic losses. These measures reduce your client's insurance premiums by hundreds of dollars a year! You can request a Wind Mitigation inspection on homes built before 2006. When you are about to have your inspections, reach out to me and I will provide the necessary forms for the inspector to fill out as they move through the home. prohibits the insurer from attempting to seek restitution from a third party who causes any kind of loss to the insured. This type of arrangement is allowable under certain circumstances where the insured could be held liable for a claim that is paid. Residual Market There are some employers that, for a number of reasons—such as new business, poor loss experience, or the inherently dangerous nature of their work—cannot find a voluntary market carrier willing to provide them with workers compensation insurance. To ensure that all employers have a means of meeting their statutory obligations, states have created markets of last resort—residual markets. In essence, the residual market is a safety net for these employers. There are several ways to provide a residual market. Some states establish state funds. Another option is to establish a joint underwriting association (JUA). However, most states have established a Workers Compensation Insurance Plan (WCIP, assigned risk Plan, or Plan). The WCIP is the basic instrument, adopted pursuant to statute and/or regulatory authority of the state, through which eligible employers otherwise unable to obtain necessary insurance coverage can secure workers compensation insurance.